"Bed" (1990/2011). 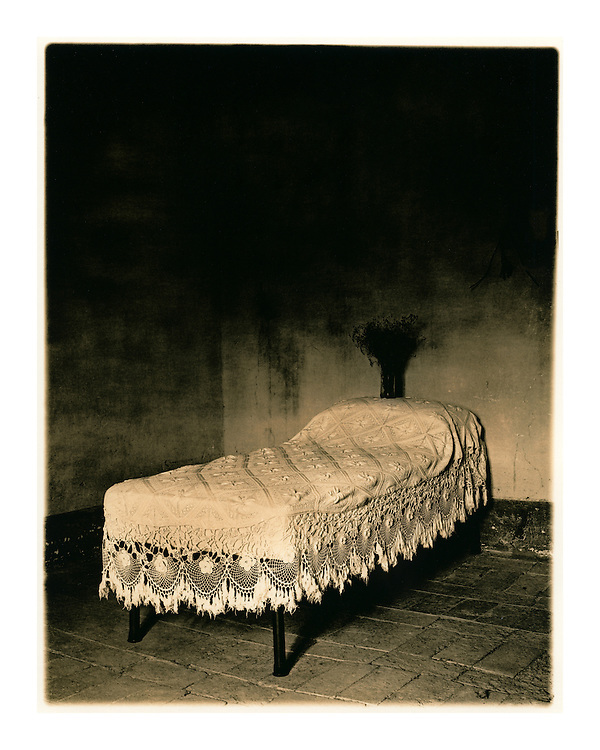 This cover artwork for the Red House Painters' Down Colorful Hill EP (4AD/1992) was photographed and printed by me in a traditional wet darkroom using archival processing methods and printed on Foma Fomatone Classic chlorobromide silver gelatin fibre paper sized 9.5" x 12" (24.13cm x 30.48cm). The edition is limited to 30 prints. The prints are silver gelatin "lith prints" that have been split-selenium toned and processed using archival methods. Each print is stamped, titled, numbered, dated, signed by myself and comes with a certificate of authenticity. Please email me at info@simon-larbalestier.co.uk for pricing, availability and shipping info. All prints are shipped from the United Kingdom.